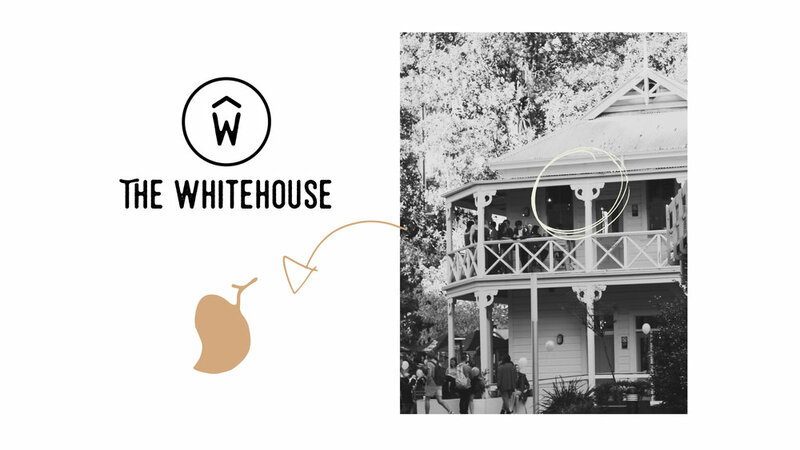 to elevate the presence of 'the whitehouse', a heritage listed cafe in the heart of the university of new south wales. the old identity was lacking a strong sense of self and presence. It got lost among collateral and needed a creative boost to set the brand apart. THe final logo is clear and minimal. it is stripped down to its core. 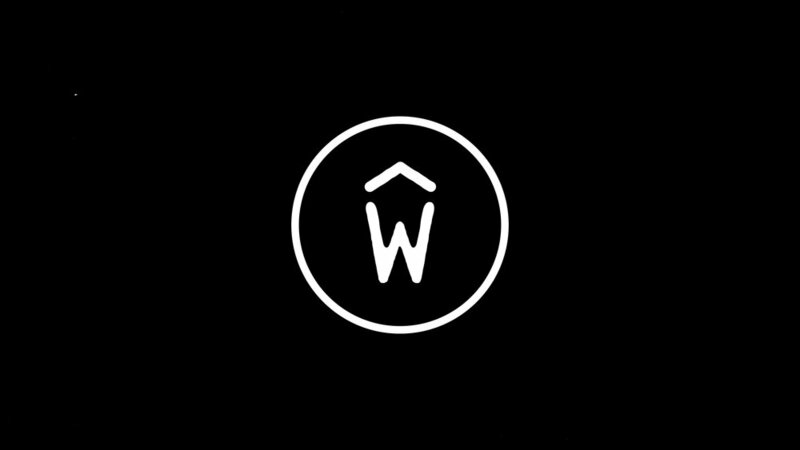 by linking the letter 'w' with the structural element of a roof we were able to pay homage to the buildings structural history. The illustrated element of the 't' was important for us to add into the identity. it came from the floral cutouts found along the whitehouse and was the element that the client appreciated the most. we worked hard to bring this historic element into the now. 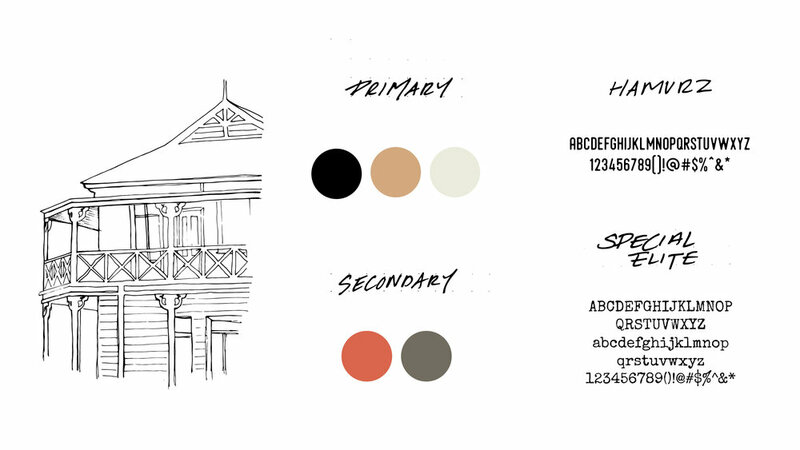 THE COLOUR SCHEME WAS DEVELOPED FROM THE COLOURS ASSOCIATED WITH GROUND COFFEE, WARMTH and THE NATURAL WORLD. HAND SKETCHED IMAGES WERE USED TO BRING life and movement into the brand. inspired by wood grain textures, this style of illustration adds the rustic feel to the brand. as the menu is one of the key components of a cafe it was INCREDIBLY important to make it both clear to read, as well as visually engaging. THe Typography played a huge part in this. 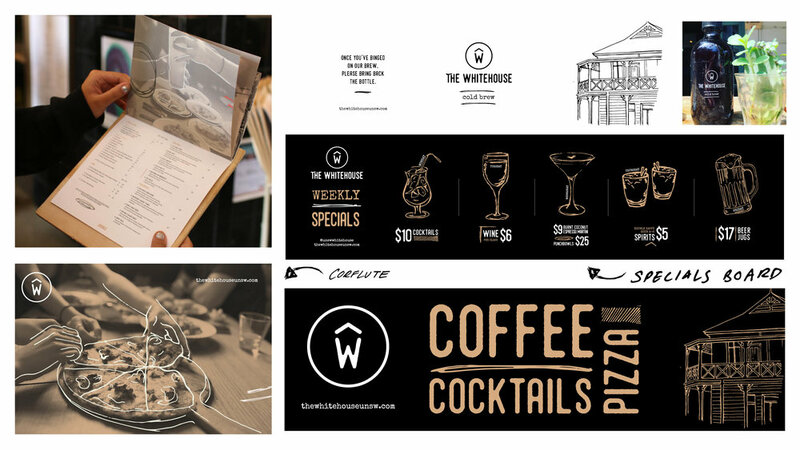 the contrast of the two font heightS helped elevate the menus visual space, giving the reader a chance to digest the copy.